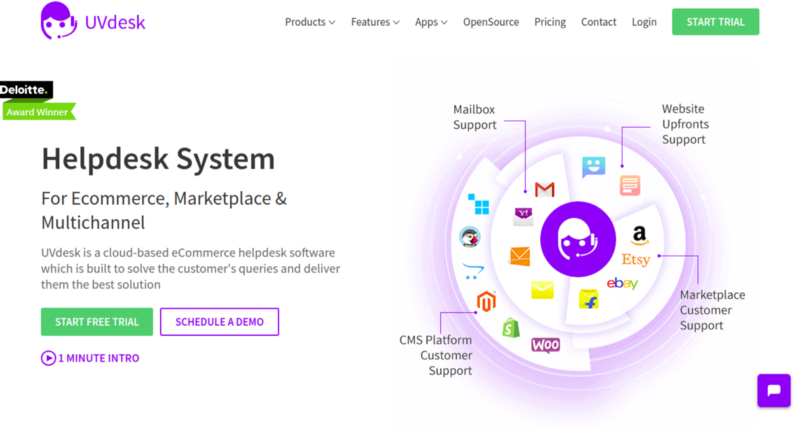 Webkul is proud to release Enterprise Level Open Source Helpdesk — UVdesk built using standard Symfony PHP framework which is highly secured, robust and component-based system to be easily customized for any business. Why Open Source Helpdesk? Every business their work process and way to deal with the customer is different. Plus standard SaaS helpdesk imposes a good cost for the helpdesk plan and customization to make the helpdesk fit for the business. 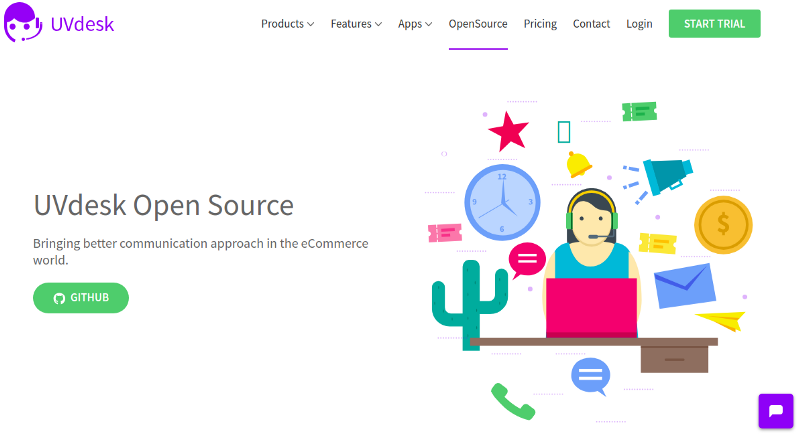 So in order to make the source code freely available so that anyone can read, inspect, modify, and collaborate for any purpose, Webkul launched enterprise open source helpdesk to be fit for any business. Control in Your Hand — Now you have the freedom to study, use, customize, control and set up your own helpdesk system with or without modification to deliver better support experience to your customers. Security and Privacy — SaaS solution provider maintains all your data. They have the power to add or restrict any functionality which may cause a big obstacle for you. But with FOSS (Free Open Source Software) your data is all secured with you and privacy is also maintained because FOSS users can inspect, verify and modify the source code to maintain a security standard. Quality and Capability —FOSS allows for high-grade collaboration among crowds and individuals along with better community support which helps to build customer support software fit for your purpose, It has the efficiency to be utilized for any standard support service tool. Standard User Support — FOSS allows for better collaboration from parties, developers, and community with the purpose of developing the most dynamic software for users. It involves everyone for discovering bugs promptly so that it could be fixed soon. Symfony is by far the best framework for writing business apps like helpdesk and PHP+Symfony both have very huge community support for fast app development. Symfony with its set of reusable ingredients is the standard base on which immeasurable PHP applications are built. Purpose of Symfony was to speed up the web application development process by avoiding sensitive coding work, especially for enterprise driven applications. Currently, Symfony PHP framework is the number one choice for developing enterprise level web apps in the entire world. Presently, 80% of websites or web applications are built using PHP programming language, almost every PHP framework uses few of the Symfony components. 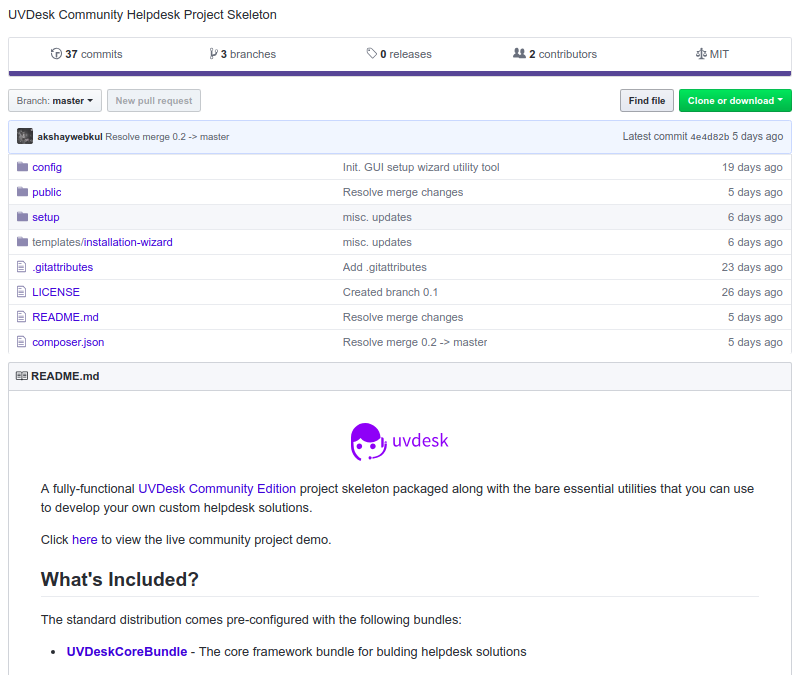 Thus we built UVdesk Open Source advanced and easy using the standard Symfony PHP framework, now anyone can inspect, modify and collaborate and build the module on it. Developing or maintaining enterprise level software, websites and applications and servers is not easy thus we built UVdesk Open Source Helpdesk Ticket System on LAMP stack. What is LAMP? LAMP is known for Linux, Apache, MySQL, and PHP (or Perl/Python). LAMP stack is usually applied to run dynamic web apps or websites. Lamp Stack’s main part is that it consists of Linux, Apache, MySQL, and PHP/Python/Perl. It is usually applied to run dynamic websites or web apps. The common thing in all four part of the LAMP is all are Free and Open Source to use. And a company like Webkul and others are using all four together to make UVdesk Open Source easy to set up and host on any hosting support LAMP. Keep giving excellent support using Enterprise Level Open Source Support System!! If you have any query feel free to ask your e-commerce evangelist is ready to help raise your concern at support@uvdesk.com or refer the link.